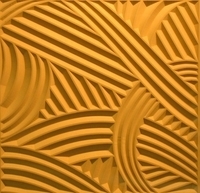 These custom carved panels are designed to enhance our living and working environments with textures, patterns and themes and can be applied to walls or inset into cabinets and doors. Patterns can be repeated or be made continuous across sections. All our art is digital and can therefore be modified, re-sized and scaled to suit your needs. If you don't see what you are looking for let us know and we'll make it for you. An assortment of carved panel ideas that can be customized for range hood, valance and fireplace mantel applications. 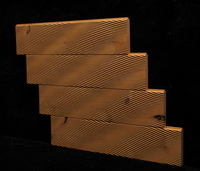 Carved weave panels or various forms available as sheet goods or cut to size per request. Available in MDF or hardwoods.